MONTALEGRE, Portugal (May 16, 2011) - It was a dominant weekend for Rockstar Energy Drink driver Tanner Foust, who became the first American ever to win an FIA European Rallycross Championship round in Portugal. "Simply incredible!" said Foust, who earned his victory in front of a sell-out crowd at the race. "The team showed its potential this weekend, finishing one-two." Foust was the driver to beat at the Pista Automóvel de Montalegre, setting a pair of fastest practice session times in his Rockstar Energy Drink Ford Fiesta on Saturday before scoring two out of three heat wins heading into Sunday's final round. "This place is amazing," said Foust. "The fans are so into it that you can tell what's happening just by listening to the crowd; they scream when somebody passes and for a good lap. It's a really fun place to race." Foust and teammate Andreas Eriksson lined up side-by-side to start the final race of the weekend and crossed the finish in first and second place, respectively. The racing was not without its challenges for newcomer Foust, who finished his first heat of the weekend in sixth place after an error that led him into the Joker lap at an inopportune time and forced him to make an emergency change of direction mid-race. "I had to reverse and do a 180 onto the regular lap to avoid getting a penalty," said Foust. "The crowd loved it, but I was kicking myself. It was a good reminder that I've still got a lot to learn about this sport." Foust made his series debut at the Portugal round of the European Rallycross Championship last year, finishing in eighth-place overall. The driver ran select events in 2010 and is now undertaking his first full European championship season. After two rounds in the championship, Foust sits in second place overall, just one point behind defending champion Sverre Isachsen. At Round 1 in the UK last month, Foust set strong practice times but suffered some bad luck that knocked him out of podium contention. Foust is also contesting the Global RallyCross Championship in 2011, persevering through pain after dislocating his shoulder to take the win at the most recent round, Twin Peaks, held outside Seattle a month ago. Rallycross is a blend of circuit racing, off-road racing and rally competition. 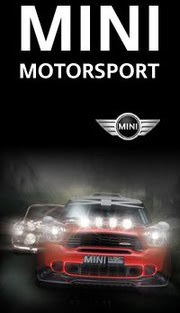 It promises intense crowd-pleasing action in a fan-friendly track environment. As many as six drivers line up to start at once, piloting high-horsepower compact cars through race traffic over a challenging short course that features jumps, unbanked turns, hills and transitions between pavement and gravel. 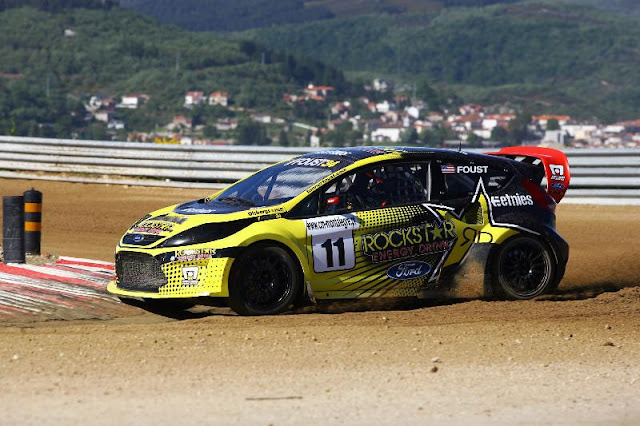 In addition to rallycross competition in Europe and the United States, Foust's 2011 competition schedule also includes a return to X Games Rally Car Racing events this July. He will be back in Europe this coming weekend for the third round of the championship at Circuit des Ducs in Essay, France, May 21-22.